At ReGen Pain and Wellness, we take an integrative approach to medicine, focusing on customized solutions tailored to our patients needs. Using advanced, non-surgical treatments, we stimulate your body’s ability to naturally heal itself. Our patients suffer from conditions such as chronic pain and erectile dysfunction, to hair loss and weight gain. Combining treatments such as PRP Therapy, Stem Cell Exosomes, Neural Prolotherapy, and IV Infusions with functional rehabilitation, we help our patients look and feel better. 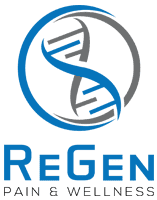 By healing the body, instead of just treating the symptoms, regenerative medicine aims to regrow, repair or replace damaged cells and tissues to naturally combat pain, disease, and aging. Using natural regenerative therapy and non-surgical treatments, patients see increased stability and function, reduction of pain, and overall health and wellness. Dr. Keith Smigiel, FNP-C, DC, FIAMA, opened his practice ReGen Pain and Wellness in Scottsdale, Arizona, to provide holistic treatments that heal, relieve pain, and help patients return to a thriving life. He specializes in multimodal treatments that draw from his areas of expertise: chiropractic care, regenerative medicine, and functional medicine. Dr. Smigiel’s passion and research interests are primarily focused on the endless possibilities of regenerative medicine. He’s especially interested in using stem cell therapy to regenerate tissues damaged by injury or disease. Dr. Smigiel is a tireless advocate for stem cell research and the responsible use of innovative technologies in medical care and rehabilitation. With his professional qualifications as a certified family nurse practitioner, a doctor of chiropractic, and a fellow of the International Academy of Medical Acupuncture, Dr. Smigiel offers patients comprehensive care from a broad perspective of conventional and alternative medicine. He also has extensive experience in functional rehabilitation and chronic pain management. Dr. Smigiel is married to Angela and has two children, Sophia and Larz. When he’s not busy helping patients, he enjoys hiking, mountain biking, motocross, and boating. "His calm demeanor and positive attitude make it easy to feel comfortable during treatments. I highly recommended him to anyone looking for pain relief!" "I highly recommend him and all of his therapies. I have seen great results and trust Keith fully." "Incredible knowledge, incredible chiropractor, amazing with all types of issues and anyone just wanting further wellness." "Dr. Keith cares about his patients and is willing to take the time with each patient to create a holistic treatment plan tailored to their specific needs." "His thoughtful, caring and concerned approach to understanding and treating your condition made all the difference for me."